Arcade Backpack 1. Courtesy UCLA Game Lab. Arcade Backpack 2. Courtesy UCLA Game Lab. Arcade Backpack 3. Courtesy UCLA Game Lab. 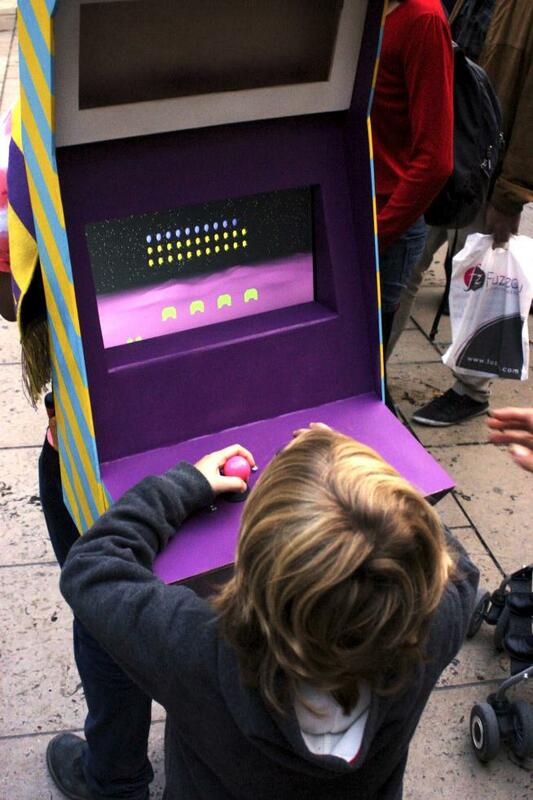 MCAD alumnus Tyler Stefanich, who manages the UCLA Game Lab, has given MCAD faculty and staff a challenge: try your hand at constructing an Arcade Backpack and load it with games designed by MCAD students and alums in time for Northern Spark 2014. The open source blueprints provide the schema, but are we up to the challenge? Will we make a model that is as snazzy as the original designed and constructed by Steven Amrhein for the UCLA Game Lab? 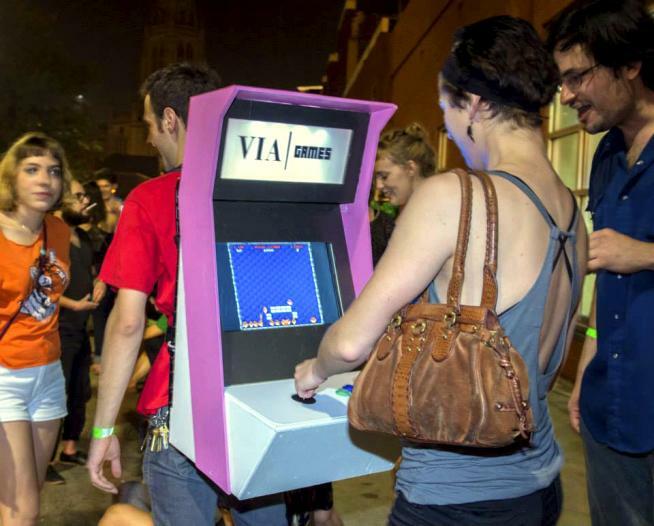 The Arcade Backpack was created to infiltrate public space and it has been stealing the show ever since. The cabinet frame is constructed of lasercut plywood and assembled to house a laptop, arcade-style controls, and an LED Marquee powered by a drill battery. The entire cabinet is holstered onto a military grade back frame and can be adjusted to fit comfortably on any unsuspecting Northern Spark volunteer. 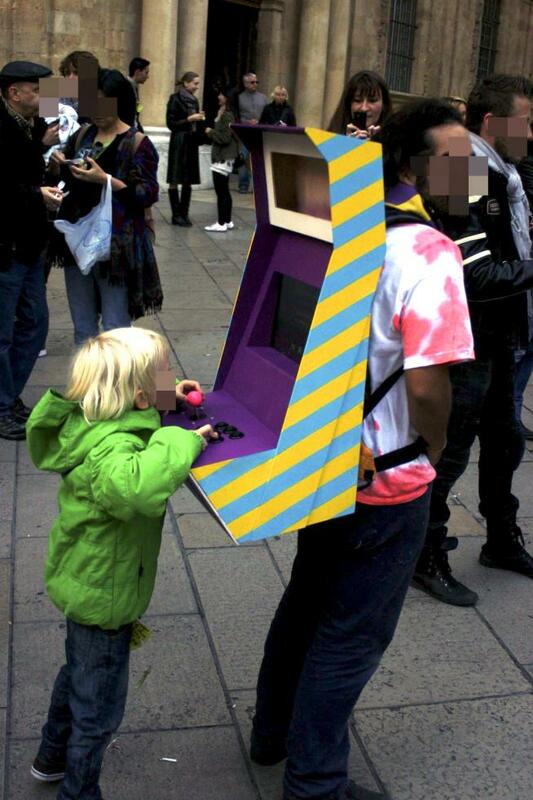 The original Arcade Backpack concept was developed by Stephen Amrhein for UCLA Game Lab.